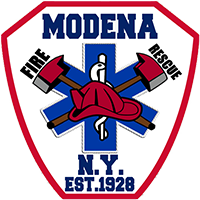 Modena Fire & Rescue regrets to announce the passing of lifetime member and past President of our Ladies Auxiliary, Doris Meyer. We send our thought and prayers to her family. Peaceful rest Doris. Thank you for your service to the organization. Previous PostThank you and good luck!